What is the definition of wellness? For most of us, we think of overall wellness as the general health of all bodily systems combined. To an extent, this is (of course) true: overall health does equal overall wellness. 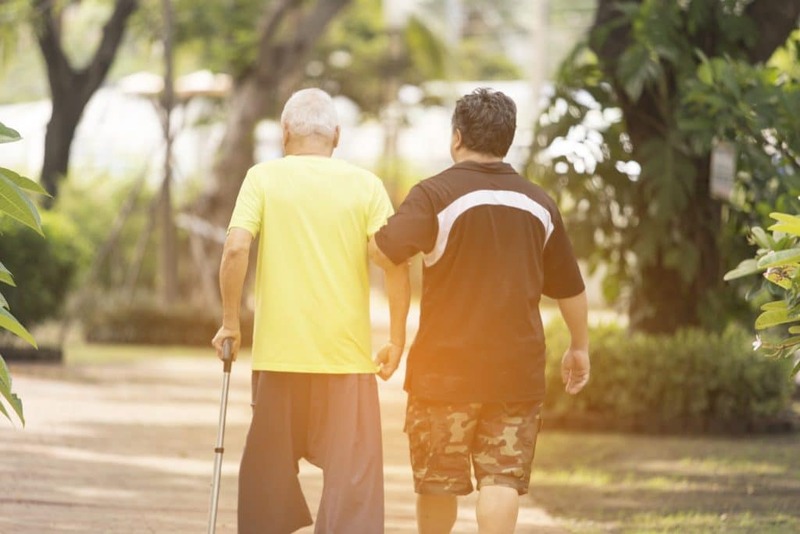 When taking care of one’s overall health, however, finding a single way to simply boost overall wellness can be tricky. One may think that reinforcing wellness means bolstering all the different systems of our bodies in various separate ways: such as the heart, skin, liver, digestive system, and more. However, mainstream methods of strengthening basic health are surprisingly lacking, beyond the popular adages and mantras of eating well, staying active, and managing stress in your personal and professional life. So what could we aim at as a unified target—with the help of lifestyle changes, diet, and the help of healing herbs—to boost wellness in the most effective way? More importantly: what can we pursue in our personal health that can be effectively improved with the help of the healthiest, most natural methods possible—such as herbal remedies? There is one level of health in the body we can target to elevate all of wellness: and that’s the immune system. Even better, the immune system can easily be made healthier with simple changes and—yes—the help of nature’s most powerful remedies. How can one define the immune system? In a nutshell, immunity is the protector of the body. It includes all defense mechanisms that shield against foreign invaders: including bacteria, viruses, fungi, allergens, carcinogens, and more. Think of the immune system like the “police” of the body, stopping harmful substances in their tracks before they do too much damage. Its components protect against illness, disease, infection, low energy, inflammation, and even the growth of cancers. And while the immune system isn’t talked about as much as the heart, lungs, or brain, there are certainly aspects of it that are commonly talked about time and time again, but that may not be immediately thought of as parts of immunity. HOW DOES IMMUNITY EQUAL OVERALL WELLNESS? The answer is easy: it’s because immunity is present everywhere in the body, protecting ALL body systems at once. What more, it is found in practically all tissues and aspects of anatomy. In this way, it is connected to health in every way possible—and anyone would be hard-pressed to find an aspect of the body that ISN’T connected to the immune system. But here’s the real connection: when the immune system is strengthened, the entire body becomes strengthened as well. 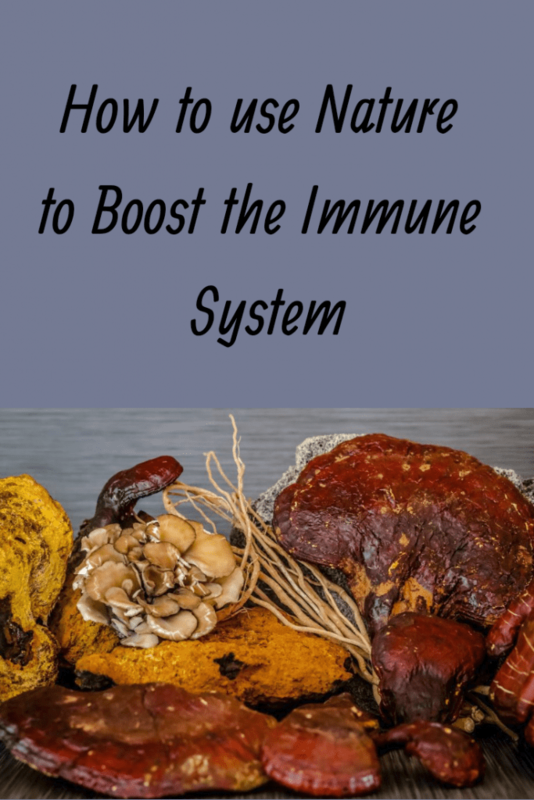 This is because, in effect, any boost in the immune system benefits the entire body because it helps immunity work all that much harder—and more successfully—to protect it. Getting down to the heart of the matter, taking care of the immune system is the most holistic way to the best care of the body possible. If it isn’t taken into consideration, health can fail in many ways—sometimes quite directly, though the other ways immunity gets affected may be surprising. When someone has weakened immunity, it’s also a huge marker for poor all-around health. This is because impaired immune health symptoms are often also the biggest pointers towards poor health in general. When these symptoms are present, it means that all sorts of systems in the body may be vulnerable to illnesses or infections of all kinds. What’s worse, weakened immunity can lead to, give rise to, or be associated with much more complicated, serious illnesses or disorders. In some cases, struggling immunity is the direct consequence of our own health and lifestyle choices. Certainly, a good deal of immune-related diseases has very little to do with our personal choices. But there are definitely some things we allow into our lives that can be the reason why we feel malaise, lack of energy, experience tons of sickness, or just feel all-around unwell. If we indulge a little bit too much in the above list of temptations to get us through a busy routine, we may very well experience immunity slipping. Issues like digestive imbalances, inflammation, low energy, allergies, and more common brush-ins with sickness may occur. How can we combat these issues naturally in our own lives, taking power over our health and self-care at home? It’s easier than people would think—and honestly, a lot of it involves prescribing to the common staples of good health advice. Avoid inflammatory foods that spike inflammation, and opt for fiber-rich, vitamin-and mineral-heavy ones instead, especially fruits and vegetables. 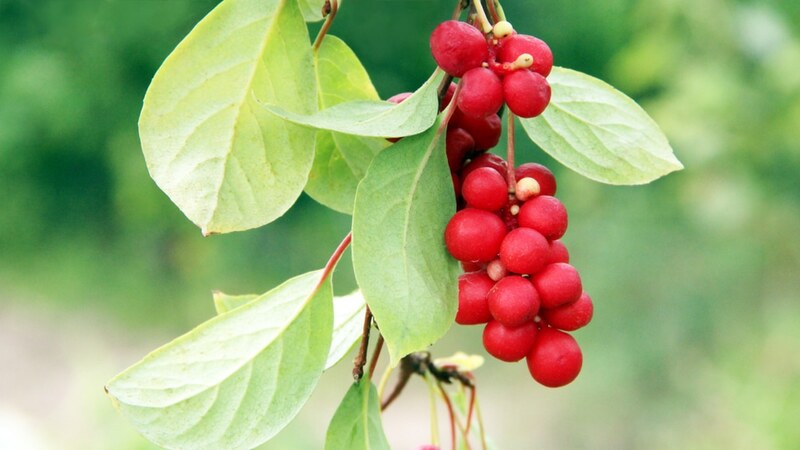 Not only will they help alleviate inflammation and strengthen immunity with the nutritional content they provide, but they’ll also give invaluable antioxidants that assist with reducing the chances of chronic inflammation and free radical damage. Using alcohol, cigarettes, and other drugs give us short-term relief of stress or anxiety. But in the long run, they only compound the amount of inflammation and damage they do, partially by suppressing immunity. Break the cycle, drop the substances, and find a way of relief that doesn’t just feed into bad immunity. Good sleep should absolutely not be overlooked or underestimated. Science has in fact shown that we need sleep in part to help reset our immune systems completely for the next day, or over time it will give rise to increased issues of illness and even autoimmunity. A strong case for the sleep-immunity connection is made in this 2015 review. Managing chronic stress and anxiety is a must, as it does feed into inflammation, the immune response, and reduced immunity over time. While for many of us it’s not possible to get rid of sources of stress 100%— whether it’s from work, relationships, personal life demands, or other matters—some steps should be taken, at the very least, to manage or lessen them. Many herbs have been used as plant therapies to strengthen immunity and overall health for thousands of years. These herbs can be an enormous key to jump-starting immunity when it’s at its very lowest and poorest, in addition to fueling lifestyle and diet changes to keep things at a progressive pace. 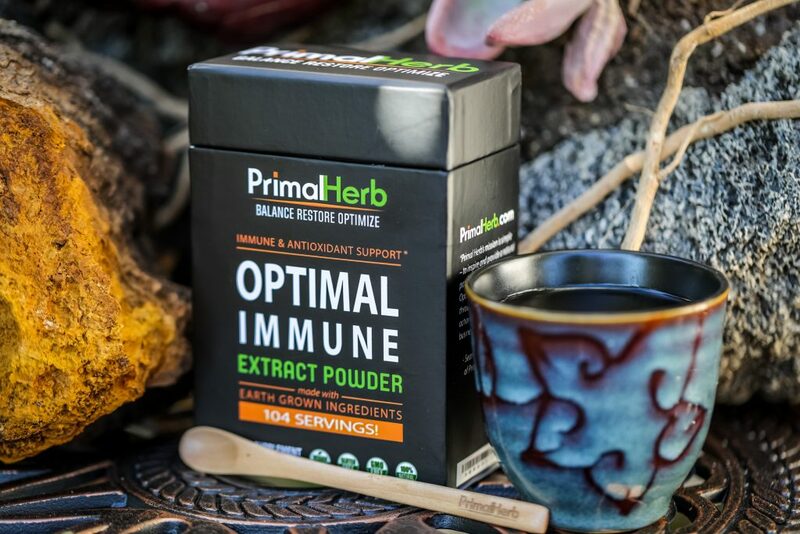 We have lots of favorites here at Primal Herb that we have chosen and included in many of our various formulas and blends. Many of these help with immunity as adaptogens, which improve the body’s ability to handle stress by any means (some of which also include immune-boosting). Others protect and preserve immunity as antioxidants (helping to reduce free radical damage and inflammation), while others are directly immune-boosting and immunomodulating, according to reputable studies. None of these have been proven to cure immune issues or disease in effect, including autoimmunity. Instead, think of them as a boosting supplement to help the body recover its own immune powers by its own means, aided by better eating habits, lifestyle, and exercise. 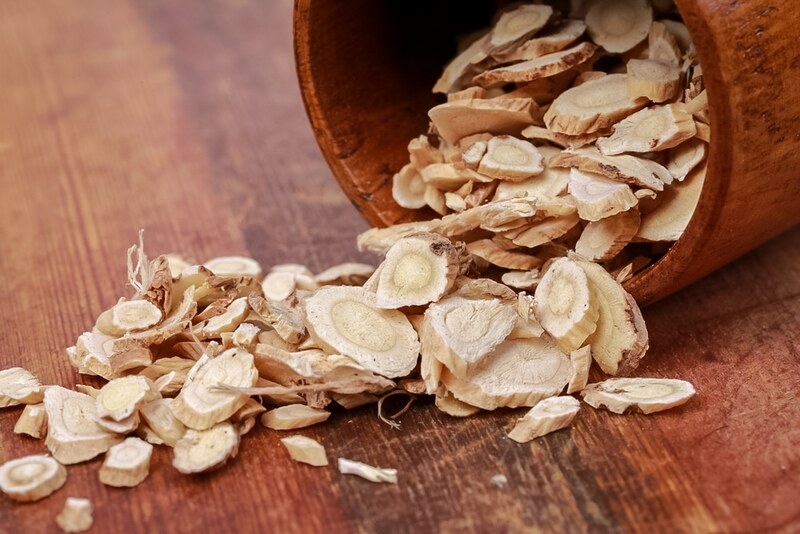 Ashwagandha was anciently revered as a health-strengthening tonic, while today it is known as an incredible well-studied immune-boosting adaptogen. It can especially help recover the body’s immune system when thyroid imbalance, stress, anxiety, and more are a big part of problematic symptoms, as evidenced in this 2011 review. Read more about ashwagandha here. This fern-like plant, a relative of beans and peas, was used for centuries to strengthen the body against sickness. Studies confirm that it does this by strengthening immunity, helping especially to fight against periodic encounters with viral illnesses like colds and flus. According to a 2012 study, the plant may do this by revving up macrophage activity. Burdock has not only been hailed as an herbal remedy, but also as a healthful, cleansing food in Europe, Asia, and the Americas. A bitter but edible root, compounds found within were long thought to help cleanse the liver. Today, research has found that it does indeed help bolster immunity, improve liver health, and even has functioned as an antioxidant according to a very recent 2017 study. Read more about Burdock here. A unique fungus found growing most commonly on birch trees, chaga has won global recognition for its anti-cancer, immune-boosting, and adaptogenic qualities. A mushroom that once began as a wondrous tonic in the far northern latitudes has today transformed into a remedy that has garnered an immense attraction from research, especially for the fact that is may help reduce the chances of cancer (as in this 2014 study). Read more about chaga here. More commonly known as the hen of the woods mushroom, maitake is a beloved wild edible around the world. Research has also shown that it has excellent immunomodulating powers, which help restore the human immune system as seen in this 2013 study. Taking a step further along these lines, maitake has also shown great promise in the realm of helping to reduce the chances of cancer, following in the steps of other fungi like chaga. Read more about maitake and immunity here. 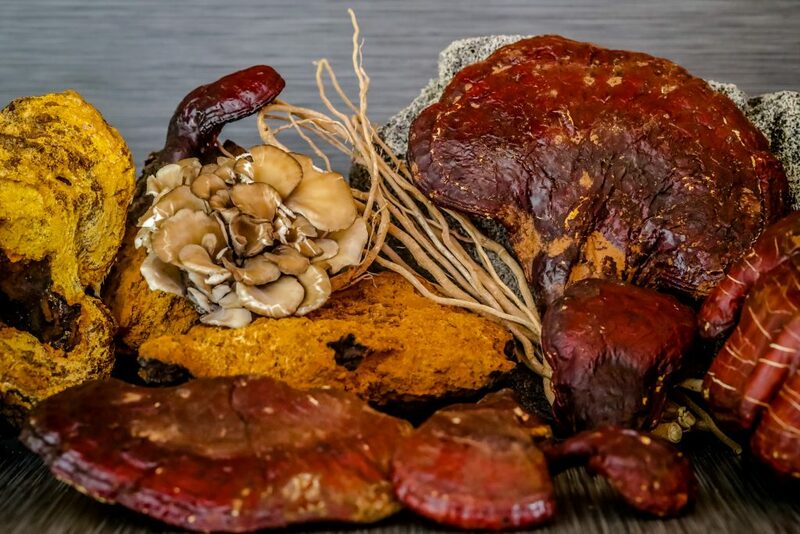 Perhaps even more so than chaga and definitely more than maikate, reishi has gained a high profile in terms of its immune capabilities. Studies continue to pour in vouching for its immunomodulating potential (as noted in this 2014 review of reishi and many other medicinal mushrooms). Like chaga and maitake, reishi is also a very strong contender for helping to reduce the chances of cancer and support. Read more about reishi mushroom here. Find all these herbs and more in our Optimal Immune blend, featuring our top picks among the world’s most famous and thoroughly researched immune-boosting herbs.